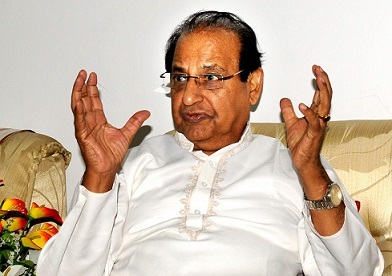 Acting on a series of complaints on the language of the thesis in the subjects like Hindi, Bengali and Sanskrit, Assam Governor Prof Jagdish Mukhi by virtue of being the Chancellor of Gauhati University has made it compulsory for the research scholars to submit their final thesis in the respective language that is Hindi, Bengali and Sanskrit other than English. It may be noted that Governor Prof Mukhi has received complaints from the research scholars of different linguistic departments expressing their reluctance to write research papers in English. They, however, contended that research thesis of languages like Hindi, Bengali and Sanskrit should be allowed to be written in respective languages. They also said that such theses will be helpful in unearthing newer information in a better way. The Governor has asked the Vice-Chancellor of Gauhati University Prof Mridul Hazarika to look into the matter and come out with a definite decision. The Academy Council of Gauhati University in its meeting held on June 29 approved the matter of writing of thesis in departments of Hindi, Bengali and Sanskrit in respective languages.